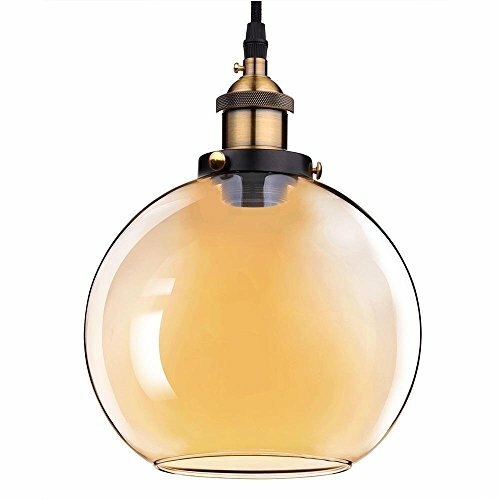 Vintage Classic Amber Glass Pendant Light Globe Shade with 7 9/10 inch Bell Shade & Adjustable Cord, recommend 40 watt & E27 bulb. Ideal for decorating Home, Hotel, Restaurant, Cafe, Bar and DIY style feel place. Notice:The bulb as shown in photos is not included.